Is it a bit tired and clichéd to say that they just don’t make movies like this anymore? Yeah, I think that statement’s fair enough, but it doesn’t make it any less true either. The Kid Who Would Be King spoils us with the riches of adventure and fantasy, casting a hypnotic spell fueled by the charms of the childlike imagination and its ferocious spirit. Inspired by films from the 80’s and thoroughly grounded in modern times, The Kid Who Would Be King is a standout example of how to contextualize and adapt legendary folklore into the here and the now, paving its way into the realm of family friendly classics. In The Kid Who Would Be King, you don’t have to be of noble blood to be royal, although the perpetually down on himself Alex Elliot (Louis Ashbourne Serkis) would refute such a plainly plebeian sentiment. Abandoned by his father and living with his single mom (Denise Gough), Alex spends school days getting bullied by Lance (Tom Taylor) and Kaye (Rhianna Dorris), defending his best mate Bedders (Dean Chaumoo) from harm’s way, and fantasizing about the Arthurian Legend which his dad passed down to him through an intricately detailed picture book. The movie begins how most 80’s movies tended to start, introducing us to a small in stature protagonist full of huge heart and imagination battling a bigger world around him, all before confidently leaping into the mystical. 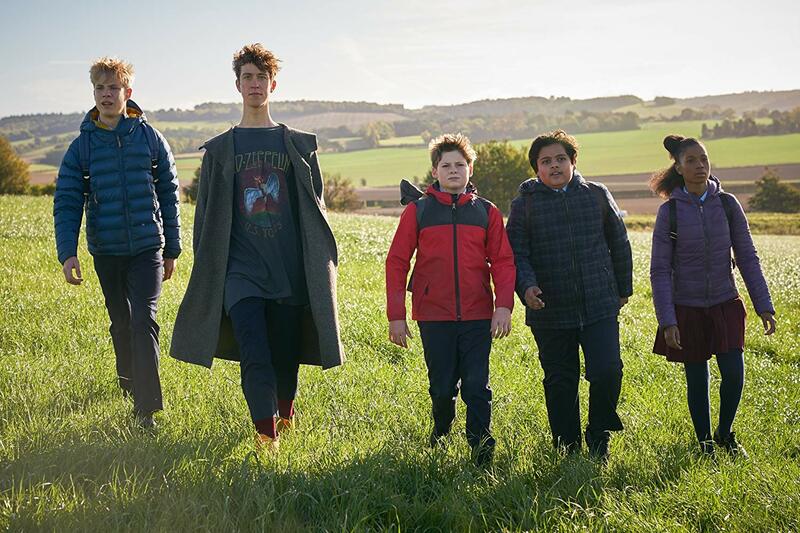 Pulling from the past and the present, The Kid Who Would Be King treats us to a nostalgia trip emboldened by the unrestrained and effortlessly engaging curiosity of a child’s mind. While it relies a bit too heavily on simple plot devices (there’s a doomsday countdown, a less than stellar villain in Morgana (Rebecca Ferguson), and ultra basic relationship dynamics that turn on a dime), the film still has a lot to say about the world at large. Kids will likely miss the connections to Europe’s Brexit controversy, America’s deeply divided politics, and the overarching theme of a world on the brink of war. These are the big points in the movie, aided and abetted by the micro messages sent throughout, which is why TKWBK grounds itself in situations that pre-teens can point to with great understanding and little confusion. Being chased by or standing up to bullies, telling the truth even when it sounds like pure fiction, banding together in the face of adversity. It’s better to have uneasy allies than it is to have outright foes. 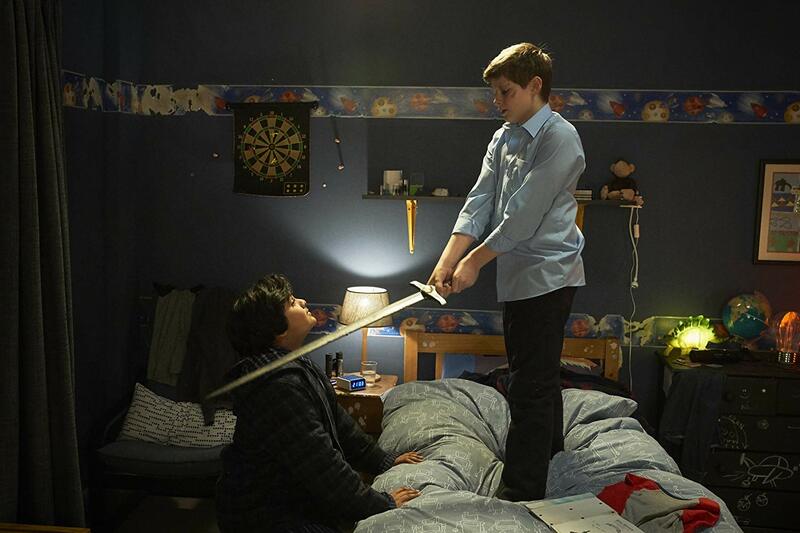 Brimming with the effervescence of 2016’s snappy knee-slapper Sing Street and the carefully cropped world-building of Lord of The Rings in the present day, TKWBK builds well and rightfully, banding together a group of lonesome losers around a makeshift round table. It becomes a quest of a film, completely stolen by the peculiar presence of Young Merlin (Angus Imrie doing an outstanding and thoroughly idiosyncratic Dr. Who impersonation). So while I believe there’s a valid case to be made that writer/director Joe Cornish’s previous film Attack the Block is a more fully realized concept, there’s still such lingering empowerment for the little man behind both pictures. Most wide releases these days tell kids how special they are, whereas The Kid Who Would Be King has the patience to show them. The latter is always the more fulfilling of the two. While it’s a stylistically joyous throwback to cinema’s past, the movie is still way too drawn out for its own good, clocking in at a bewildering and tiresome 2 hours. Many chase scenes are inventive yet seemingly drag on and on, dramatic points clobber us with unpronounced exposition, and the movie should have been no greater than 105 minutes long with some much-needed and, albeit, painstaking edits. 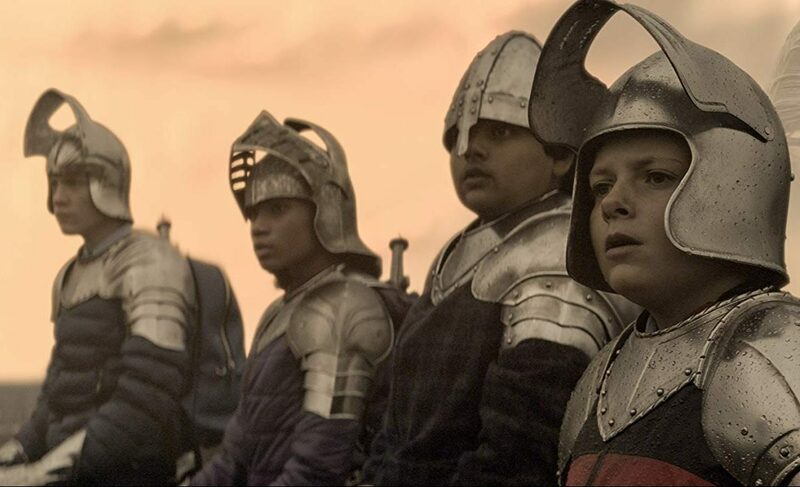 Joe Cornish’s The Kid Who Would Be King has that wowing charm factor though, that ability to convince audiences to tag along on a ride through modernized medieval times, and all of the minor things it gets wrong are so easily overlooked by the monumental aspects it gets absolutely right. A lot of movies sell themselves short by being solely for kids and too many corner themselves as adults only beverages. 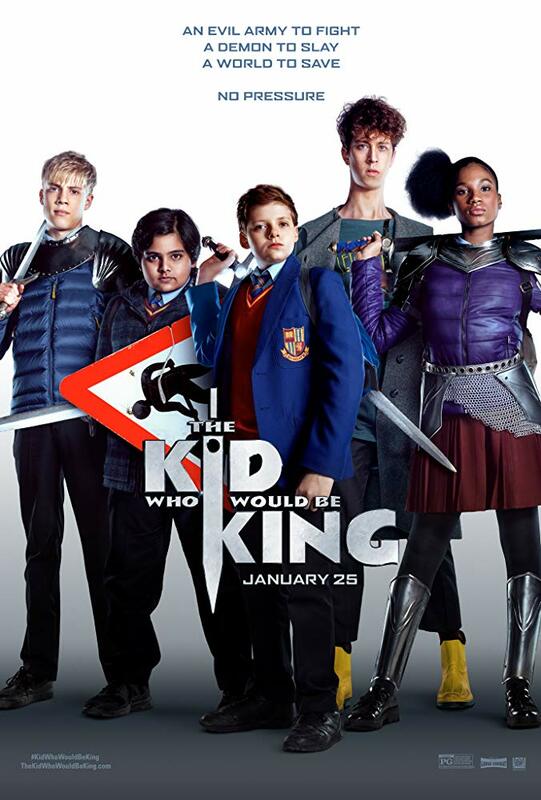 The Kid Who Would Be King has the wherewithal to appease both contingents and it’s 2019’s first true crowd pleaser.